The subject of a sentence is the person, place, thing, or idea that is doing or being something.The subject is usually a noun because a noun is a person, place, thing, or idea. Although, sometimes the subject is a pronoun such as he,they, it, and so forth. You can find the subject of a sentence if you can find the verb. For example: Veena ate the pie. The subject of a sentence is one of the basic parts of a sentence. The other basic part is the predicate. The predicate tells us something about the subject (i.e., it tells us what action the subject is performing, or it describes the subject). Every sentence must have a verb, and every verb must have a subject. 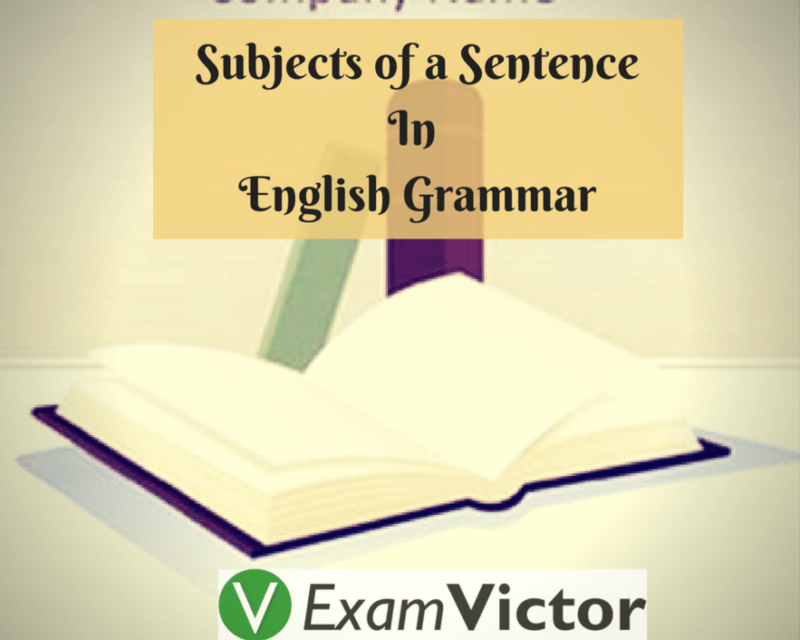 Complete Subject: The complete subject of a sentence includes all the words that tell who or what the sentence is about. Example: Everyone in my house is keeping a secret. Simple Subject: The simple subject is the main word or words in the complete subject. Note: Sometimes the complete subject and the simple subject are the same. Example: Marlon practiced and daydreamed for weeks before the game. Compound Subject: A compound subject contains two or more subjects that have the same predicate. The simple subjects in a compound subject are usually joined by and or or. Example: The craters and plains of the moon have had no human visitors for some time. My dog bit the postman. My dog is the one in the middle. My dog was taken to the vet. For example: In a small house adjacent to our backyard lives a family with ten noisy children. Lives is the action verb in this sentence, but it is not the house or the backyard that is doing the living. Instead, it is the family with ten noisy children. Family, then, is the subject of this sentence, even though it comes after the verb. In this blog post we have provided definition,kinds and examples of Subjects. Clear view can be can be attained how subjects can be used through examples. Let us know in the comment section below if you liked this post. For more such posts, check the links here: Adverbs, Adjectives, English Preparation.